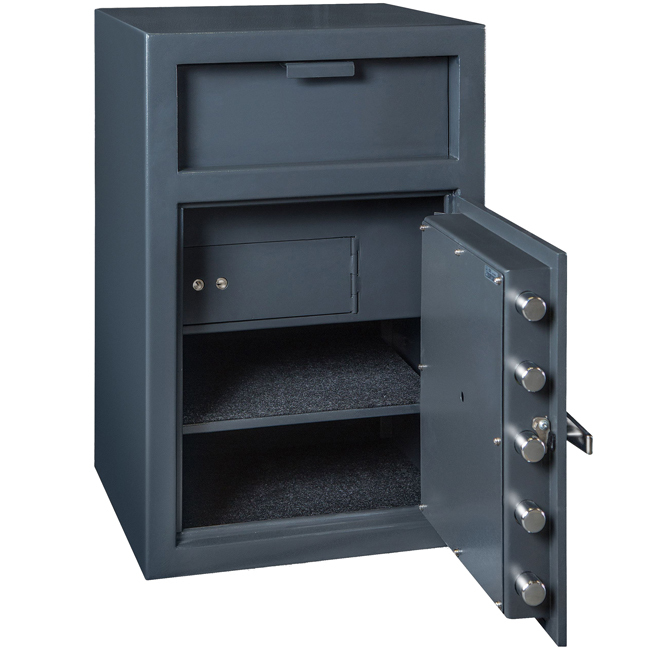 It comes standard with an SnG electronic lock that's highly reliable, easy to program and is protected by an internal spring loaded re-locking device. 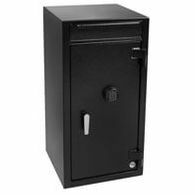 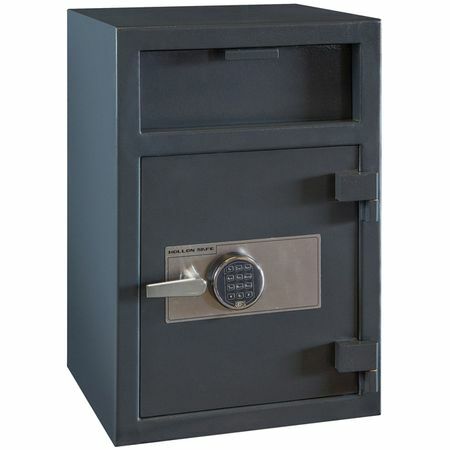 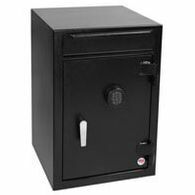 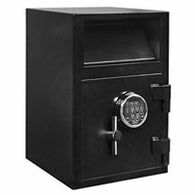 This model in particular, the FD-3020EILK weighs 180 lbs and it has an additional locking compartment drawer inside for especially sensitive information. 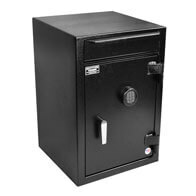 It serves as a second line of defense in the attempt of a break in.